Specifically formulated to grab hard-to-hold items on contact. Allows time for perfect placement and the extra thick formula won't run. Dries clear and flexible. 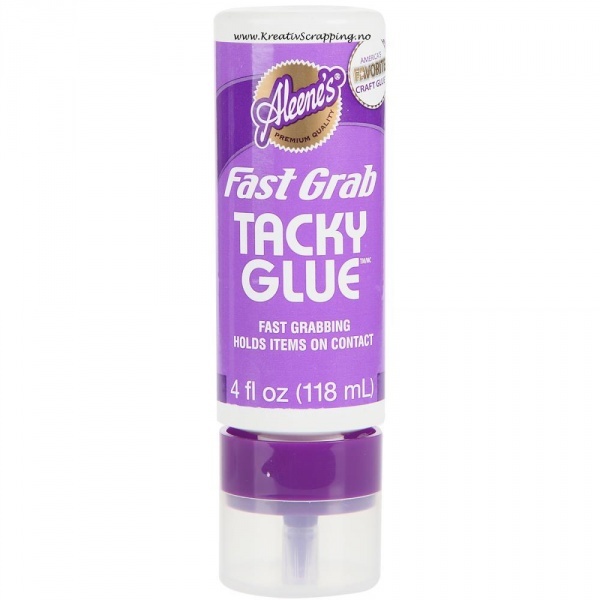 Experience a fast grabbing glue that holds items together on contact! An all-purpose glue for crafts, hobbies and household repairs. Specially formulated to grab hard-to-hold items. Will not run. This package contains one 4oz bottle of fast grab tacky glue.